Circa 1938-1943: The Harlequin servie water pitcher is sometimes reffered to as the "ball jug" and the shape was probably based on a Hall China piece made nearby in East Liverpool, Ohio. 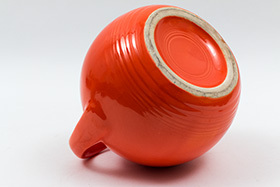 The Hall pitcher is slightly smaller and will not have the tell tale bands of rings decorating the bottom. 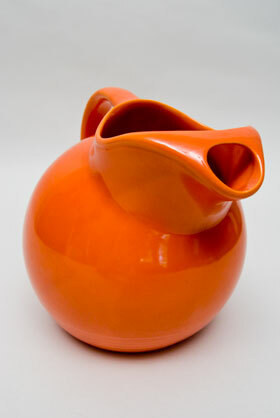 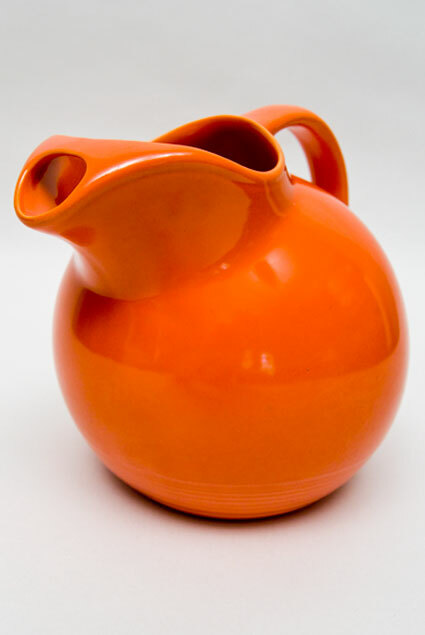 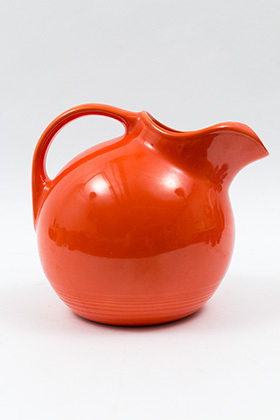 The Harlequin service water pitcher is a fabulous piece with its distinctive, trademark rings around the base. 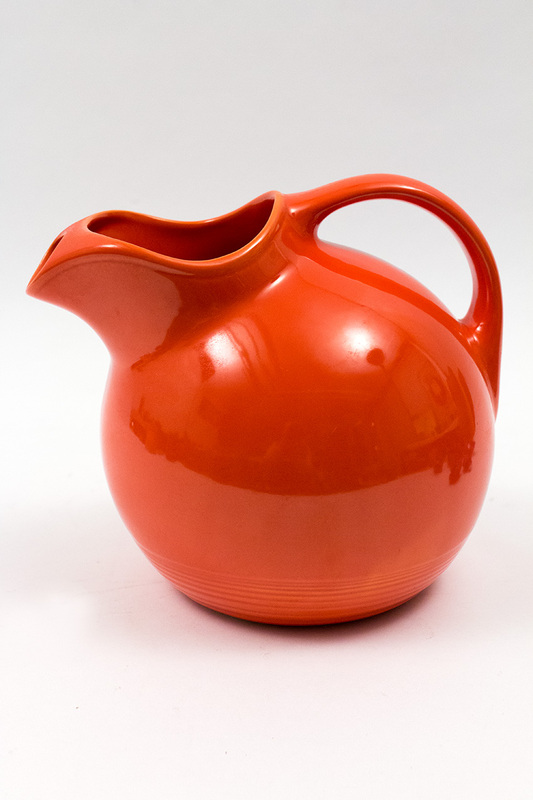 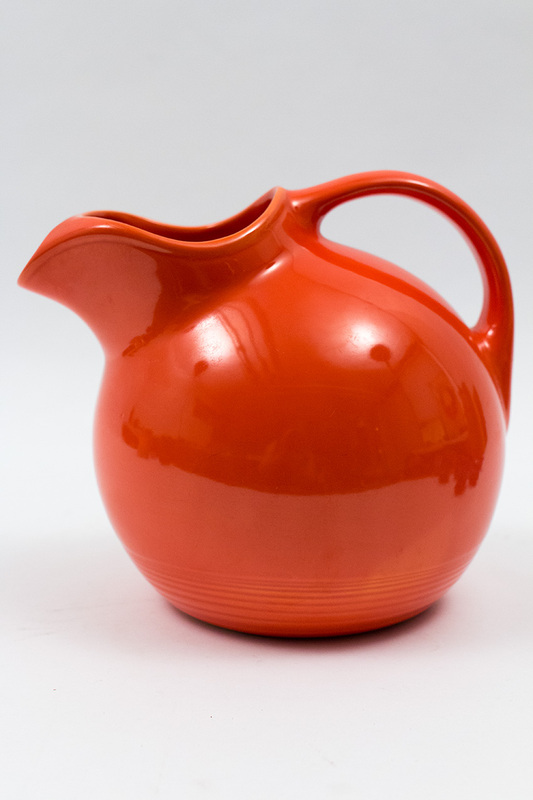 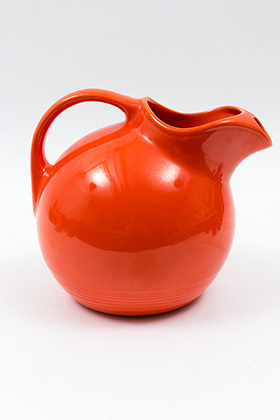 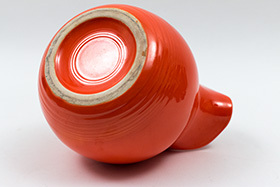 It was made in all twelve Harlequin colors, but red was discontinued by the end of 1943 when the uranium needed for its glaze was recalled during WWII. Standing at 7 1/4" x 8 1/2" wide this example in red Harlequin is in excellent condition without any damage and boasts a nice even glaze, without issues.